Two of the heaviest hitters in the cryptocurrency world just joined forces. 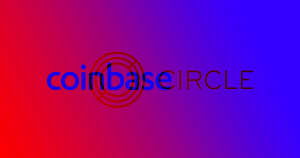 On Tuesday, crypto exchange Coinbase and global finance company Circle announced a new partnership they’re calling the CENTRE Consortium. The objective, according to a Coinbase blog post, is to encourage the adoption of crypto. To that end, Coinbase will now support USD Coin, Circle’s “stablecoin” — meaning it’s linked to the U.S. dollar. Stablecoins are “fundamentally different” from other cryptocurrencies, Coinbase argues in the blog post. While the value of a standard cryptocurrency such as bitcoin can fluctuate wildly, a stablecoin’s value is linked to that of a fiat currency. In the case of USD Coin, one USD Coin will always be worth as much as one U.S. dollar. For every USD Coin in circulation, the CENTRE Consortium will keep one U.S. dollar in a reserve account subject to periodic public review. As of Tuesday, Coinbase customers in all U.S. states except New York can buy and sell USD Coin through the exchange, while customers elsewhere around the world can trade the cryptocurrency with one another. Of course, USD Coin is just one cryptocurrency and only time will tell whether it has the impact Coinbase and Circle hope it will. However, it is already gaining traction in the crypto realm — dozens of companies already supported Circle’s stablecoin, and now that Coinbase is on Team USD Coin, others could follow suit. Disclaimer: The Futurism editorial staff do not have any have positions in any cryptocurrencies.